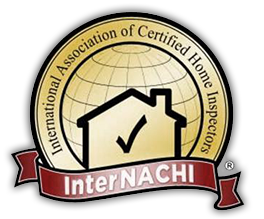 The state of your home's exterior doesn't just impact curb appeal. Problems with the exterior of a house can indicate wider structural issues. 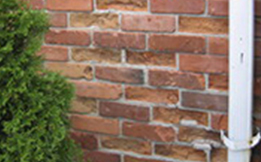 Over time leaking water from a downspout can lead to the spalling of brick work. Find the source of water and direct accordingly. 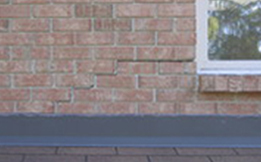 Cracked mortar joints in brick work can indicate the failure of a support beam under the brick veneer in the structure. May require beam support adjustments. 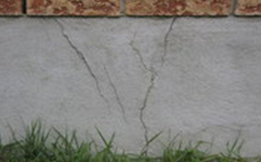 Cracks can form from the settlement of foundations and footings. Sealing of foundations would be advised.